What happens when my kid's friend drives the car? What happens when I rent a car? What if I have a trampoline? How do I cover bare land I just bought? Are my belongings covered in a storage unit? Can I get a tax credit for health insurance? How do I get a Medicare supplement plan? How much life insurance should I buy if I want to keep my family in their home? Does my homeowners policy cover seepage from pipes (most do not)? Does my personal auto policy cover my vehicle I use for my business? What happens if my employees get hurt? Will I loose everything if my business get's sued? How do I save money for my large medical deductible? These are the type of questions we can help you with. 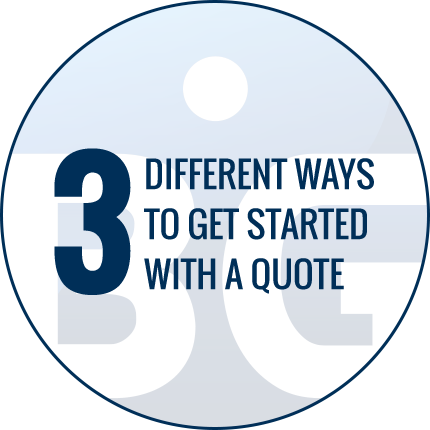 So yes we try to make it easy for you to get quotes, but we also offer guidance that allows you to cover what is most important. We’ve successfully served thousands of customers and are determined to treat each individual with respect and compassion. Shopping for insurance can be difficult, but our staff does the work for you. Maintain your peace of mind knowing that our insurance professionals have your back.